You know when you see a house and beyond all reason, you want it with all of your heart? 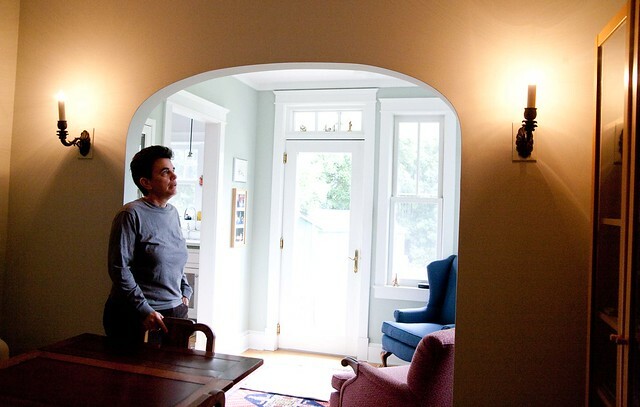 Sherrie had the very same yearning 18 years ago when she saw what she called “a neighborhood eye sore” in Del Ray — an uninhabited 1926 Del Ray bungalow that had been on and off the market, on triple lots of untended gardens. Sherrie walked by it with her friend who had just moved to the area, looked in and fell in love with an arch between two rooms. “It called to me,” she says. 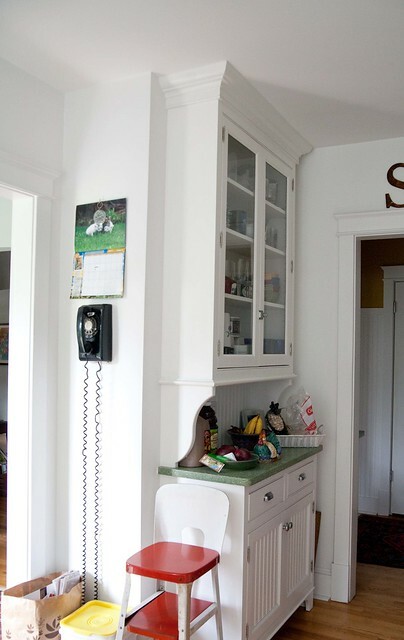 The 1920s bungalow style reminded her of the home she had grown up in the Shenandoah Valley. Sherrie came again with an agent whom she says “fled in horror.” Another friend who was very skilled in DIY home renovations said it had good bones and told her she’d help her fix it up. And so Sherrie bought it, against the advice of everyone except for her DIY hobbyist friend, Leslie. 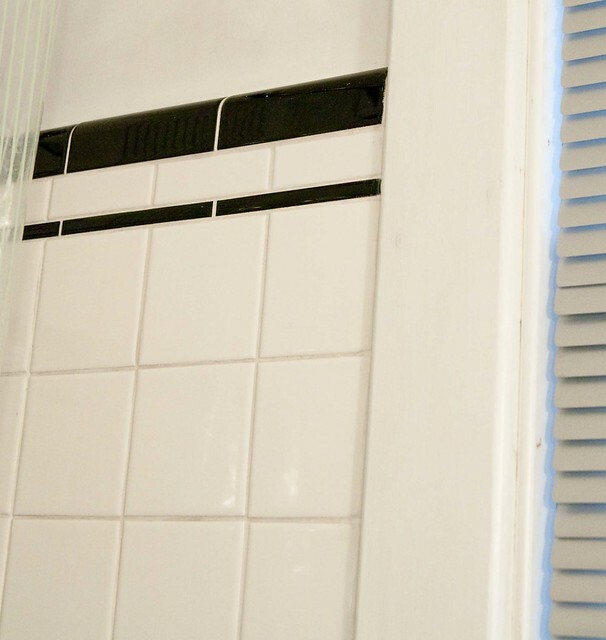 After a lengthy debate on which room was worse, the bathroom or kitchen, Sherrie and Leslie got to work on renovating the fixer using mostly their own sweat equity. 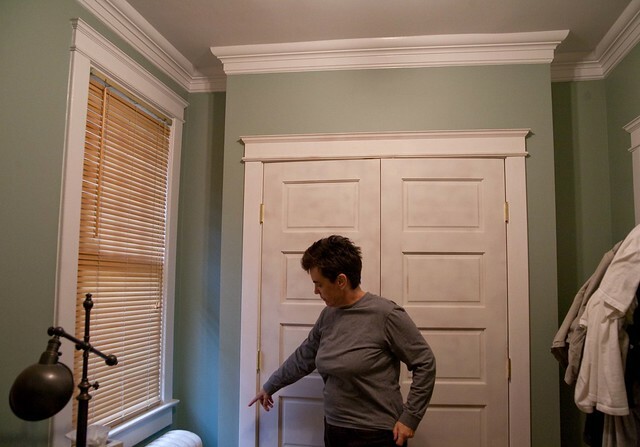 Then, five years ago, Sherrie added two new rooms and solar panels. With its impeccable attention to period details and vintage furnishings, along with the solar panels, Sherrie’s home has become a must-see home on two recent Del Ray Home Tours. The bathroom, says Sherrie, “looked like the Holocaust museum design, with mismatched angles to instill a feeling of insanity.” They gutted it leaving only the subfloor and the lathing strips. 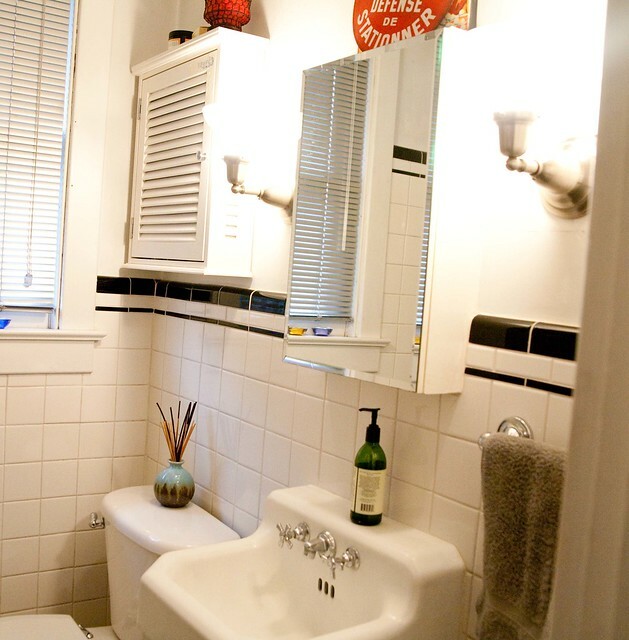 The original toilet and sink sat on the front porch for a while, “to the delight of the neighbors,” says Sherrie. It was harder 18 years ago to find tile, so they had to go to four sources to find all of the pieces they needed. Leslie did all of the plumbing, tiling, dry wall, greenboard, subflooring, and she laid the black tar paper. The bathroom only had a funky shower, so Sherrie bought an old cast iron bathtub from The Brass Knob in Adams Morgan. 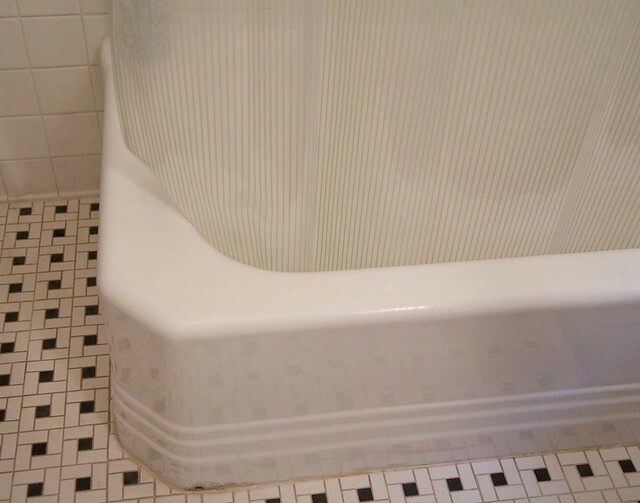 An art deco styled tub, she felt it fit the craftsman style of the home. To install it, unfortunately she had to “lose a precious Del Ray closet” in the bathroom. 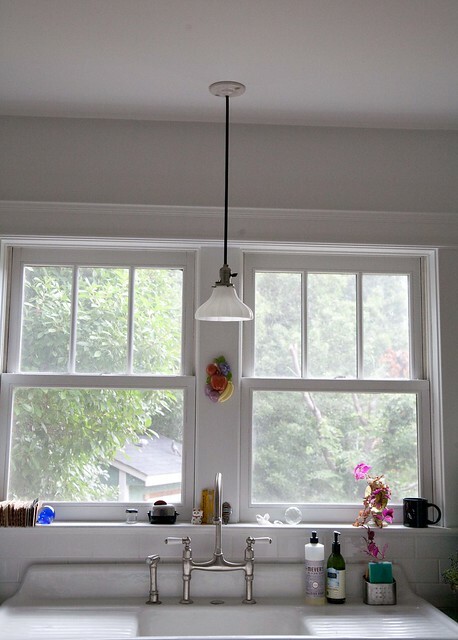 The kitchen had a drop ceiling with a “hideous” fluorescent lighting fixture and nasty old kitchen cabinets. Sherrie ripped all of it out. Trying to salvage the original plaster, she used 409 cleaner to cut through the grease and cried at the state of it – the stubborn grease and the walls riddled with nail holes. 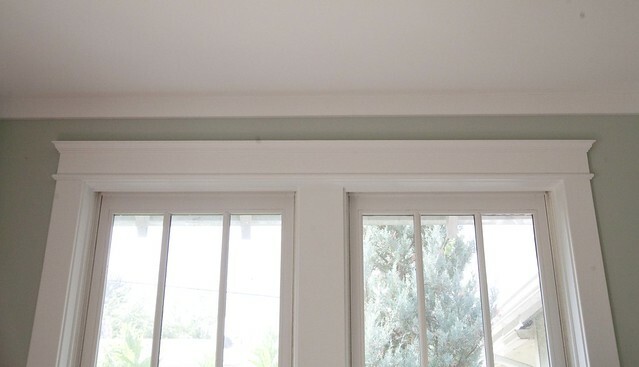 She used a 5-gallon bucket of spackle and a 10-inch knife to smooth over the results and then she painted. Next, she cleaned up the stove and refrigerator. When those two rooms were essentially done, Sherrie got the exterior of the house painted and worked on the yard. Her Dad, and her sister and husband came over with machetes and hacked down the weeds. They created a mountain of debris, which Sherrie bundled every day. 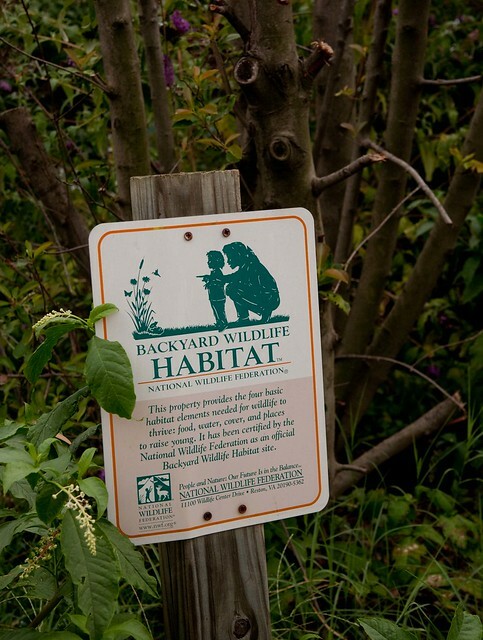 She can now boast that her property is a Certified Backyard Habitat for wildlife from the National Wildlife Federation, which means she uses no pesticides and provides adequate food, water, and cover for wildlife to raise their young. Then, there was “the thing in the basement” to contend with – an ancient oil burner and oil tank. The gas company offered financing for its removal and provided a high-efficient gas blower. The workers had to use a blow torch to get the tank out in small parts through the basement window and three pick-up trucks to take it away. The basement also had cut-outs for four windows but they were covered solely with plexiglass. Sherrie hired carpenters to reframe the windows and put new windows in. With the urgent work out of the way, Sherrie could focus on restoring some of the architectural details to remain as close to the craftsman style from the 1920s as possible. The house had the original radiators, although previous owners installed central air, so the floors had vents as well. 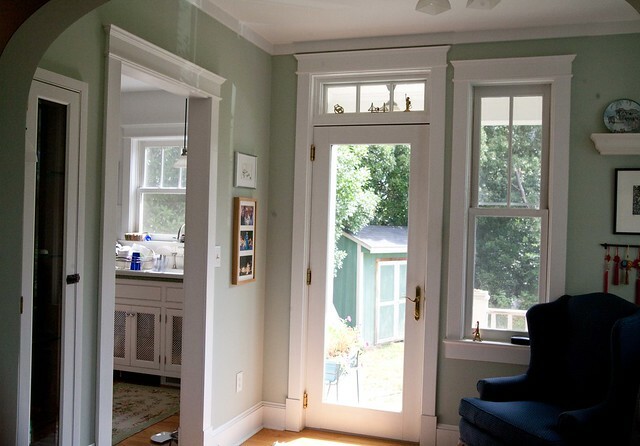 The house had plain sanitary molding, so she replaced the tops of all of the door and window frames. She bought matching doorknobs from Rejuvenation Lighting, a company that uses molds from antique pieces to create new fixtures. 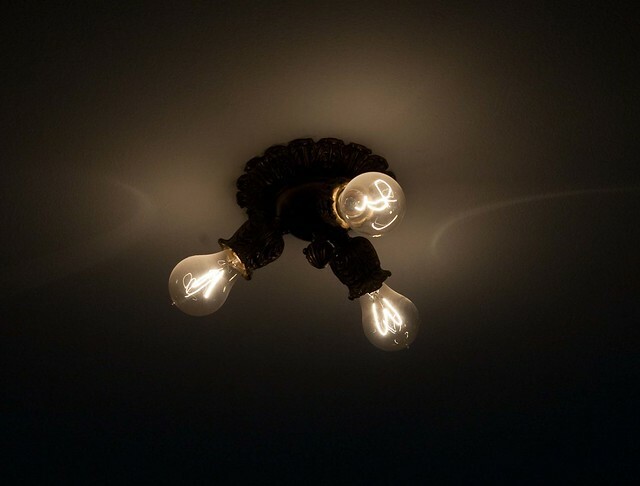 In the living room, she installed a light fixture with authentic Edison bulbs. 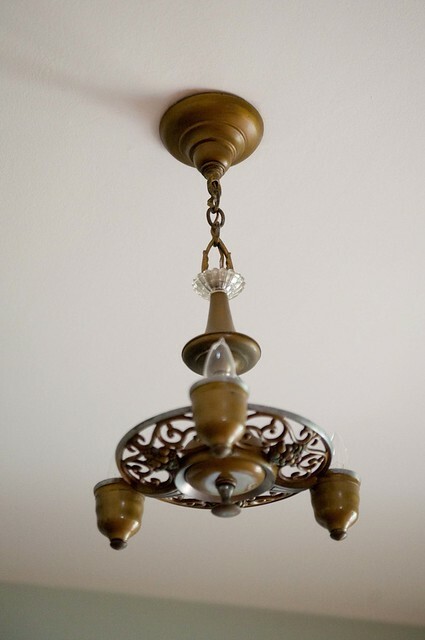 The light fixture in the dining room came from her parent’s home in the Shenandoah Valley. She took it to the Lamplighter on King St. in Old Town to rewire it. Sherrie bought the sconces from The Brass Knob in Adams Morgen. 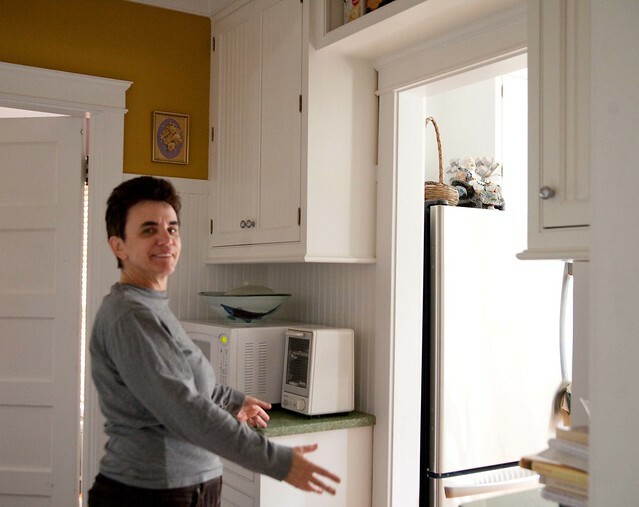 In 2005, Sherrie decided to invest in a bigger renovation to add two additions – a kitchen and sitting room. She interviewed three architects. Her number one priority was maintaining the integrity of the bungalow style. The first two said no to what she wanted, and the third “got it.” She worked with Dennis Powell at Dominion Design Associates in Old Town. They looked over drawings for a couple of months and then it took about 10 months to complete the work. During that time, Sherrie lived with a plastic wall hung across the original dining room and she kept the refrigerator running in the living room. She bought a propane gas grill with burners to use on the front porch. On many snowy winter mornings, Sherrie was out there in her slippers making coffee. 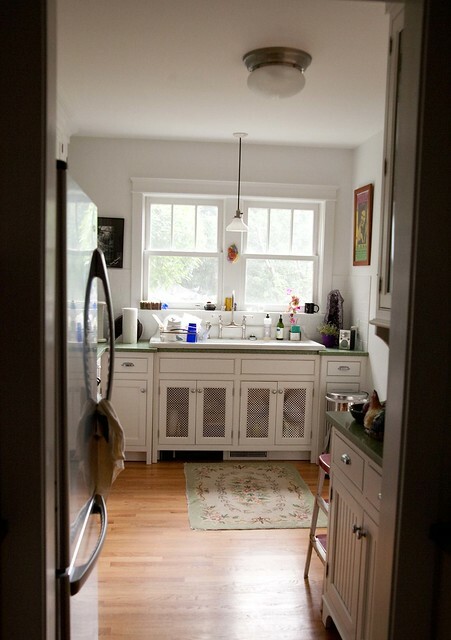 The space that housed the original kitchen is now a pantry with cabinets on one side for the microwave oven, cookbooks, and other kitchen storage. 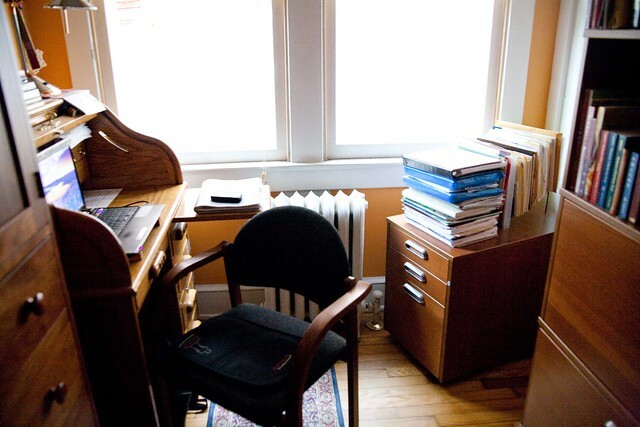 Leading off from the other side of this room are two side-by-side small offices – one for Sherrie and one for her partner Virginia. 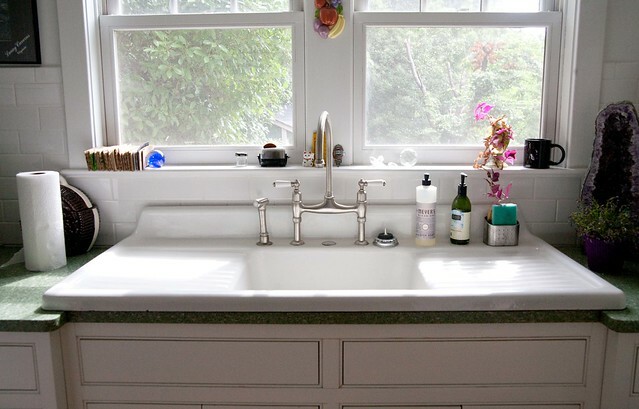 She kept the original farmhouse sink, which has a double drain that Sherrie says “was considered to be a good selling feature in the olden days.” She splurged on the faucet shipped in from Franke in Denmark. She had input on the custom cabinets they ordered and the period-appropriate fixtures. 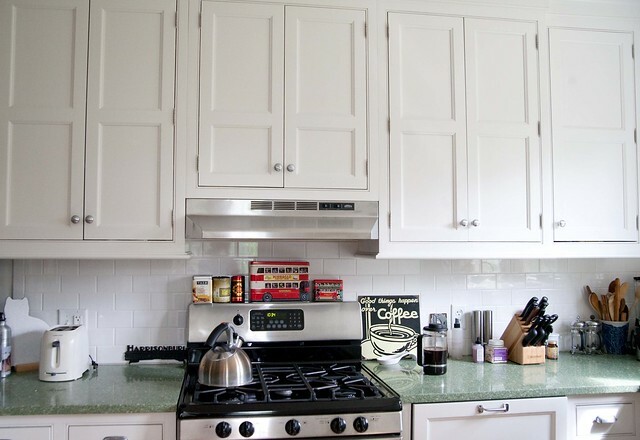 For the countertops, she chose silestone in green with grey flecks. Sherrie wanted to keep the bead board to retain the 1920s look. Her architect helped her decide where to feature it, without creating a too-busy look. He designed the cabinet to look like a standalone piece which was more common in the past. 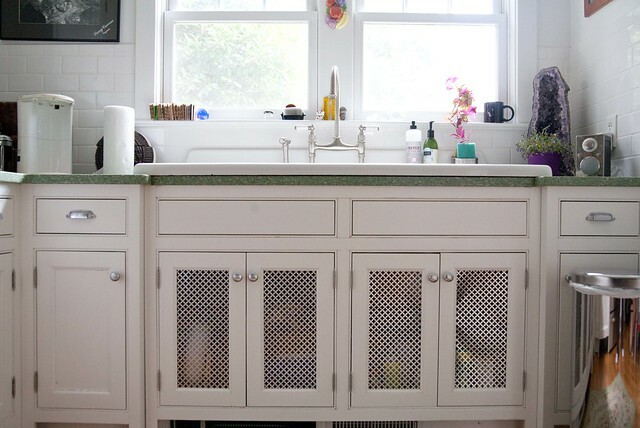 The bead board appears in the back and on the cabinet doors, and then repeats in the pantry. 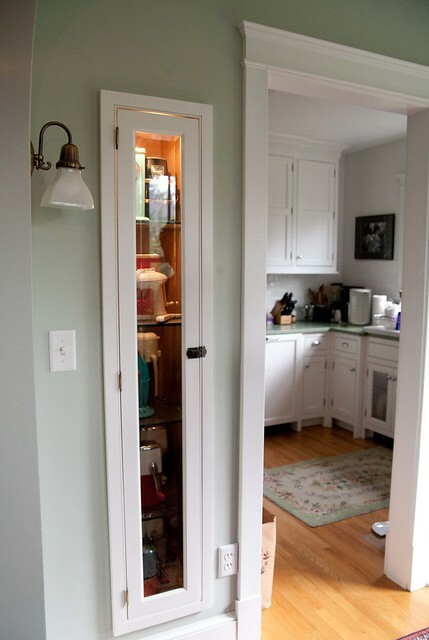 Sherrie designed a cabinet in the sitting room where she could display her collection of vintage ice crushers. She ordered the vintage latch from The Brass Knob. The room also has an arch that matches the original arch – the architects traced the original arch and copied it in the new room. Dennis did his best in terms of using green materials and high-quality materials in general. Sherrie consulting with him on the paint colors in Duron Life Master 2000. In the rest of the house, Sherrie replaced the windows with double-paned Lincoln wooden windows and replaced the roof with 30-year shingles. She also replaced the A/V venting. 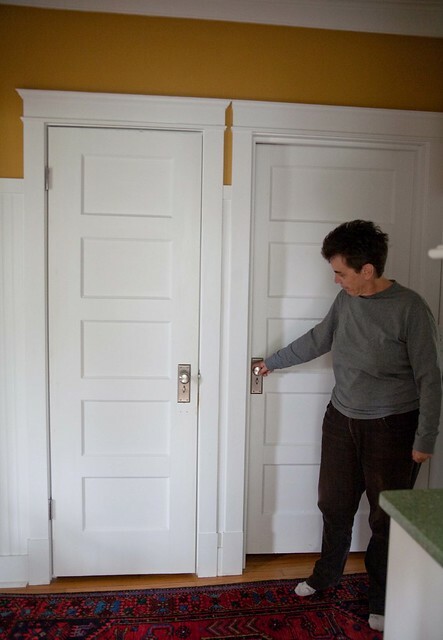 Her last project before installing solar panels was to “remedy the closet situation in the bedroom.” Sherrie designed the closet with input from Dennis. She had it pop out into the bedroom in order to circumvent one of the radiators and yet, keep the original storage space behind the main walls. About five years after the additions were done, Sherrie and Virginia embarked on installing solar energy. 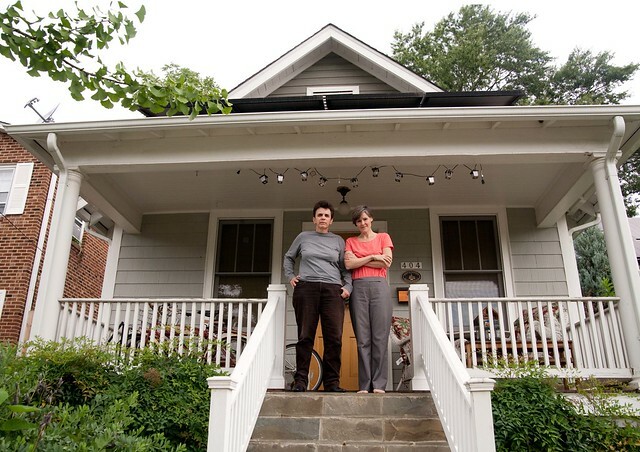 “We both wanted to be stewards of the earth,” says Virginia. “Massey coal gets energy from blowing off the tops of mountains in the Shenandoah and we didn’t want to be a part of that atrocity.” She and Sherrie also wanted the panels to be manufactured in the United States. They found a self-employed vendor in Georgia to help install the photovoltaic panels. He arrived with all 12 panels and the metal frames and they lived with the equipment sprawled across the living room while securing the permits. 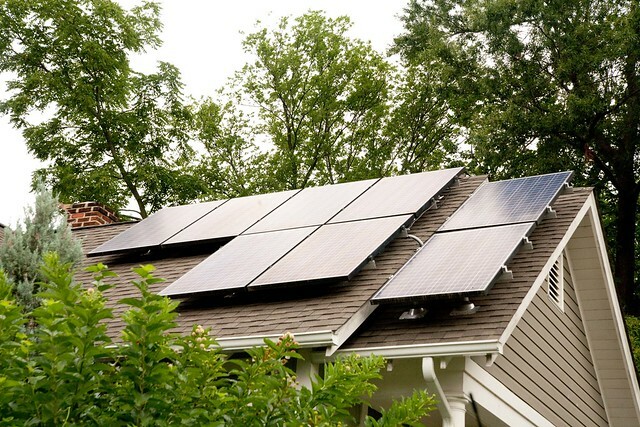 It took an inordinate length of time for George to get the permits from the City of Alexandria because Sherrie and Virginia were literally the first homeowners in the city to install photovoltaic solar panels. George kept getting conflicting information from City Hall. Nobody really knew what he needed. The city also had a tax break on the books since the 1970s, they discovered. They were the first homeowners to take advantage of it. Because Virginia state doesn’t let you sell back electricity, Sherrie and Virginia store the electricity they generate in 15 carburetor-sized batteries in their basement. 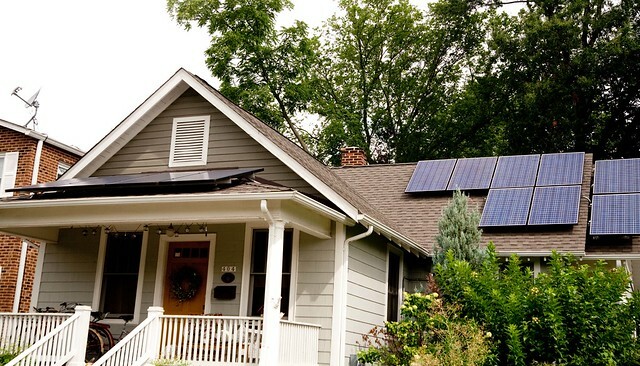 They only part of their house powered by energy from the grid is the A/C. In the spring and summer months, they can go all night on solar energy, but in the winter, they switch to the grid. The system comes with a display panel that shows their usage and charge level and they can toggle from solar to the grid. When their supply is running low, the system beeps. During the big windstorm of 2010 and recently during Hurricane Irene when a tree knocked down a power line behind their house, theirs was the only house on the block with power. They had fans going to keep cool and became an informal cooling center for their neighbors. A current neighborhood destination, part of the registry of historical places in the Town of Potomac, as well as a warm and inviting home, Sherrie and Virginia’s Del Ray bungalow has certainly come a long way since Sherrie spied its faded glory some 18 years ago. It is truly the sweetest small home in Del Ray. I love all the details inside. Sherrie did a great job staying true to the 1920’s period. The attention to detail and the tastefulness used in this restoration are stellar; this house is truly gorgeous. Kudos to you, Sherrie and Virginia, for what I hope was a labor of love; the end result is surely worth the blood, sweat and tears that the restoration extracted. You should be very, very proud. Anyone with money can find a lovely, redone bungalow, but to see past the muck and mire of what is and to imagine what could be once again – ah, that takes real vision. Wishing you both much happiness. I love this home. It’s like my dream home. Good job on the renovation!